I can’t believe that it is the end of July already. This summer has been up and down with the weather but it is summer non the less. Summer is that time to relax, plan some adventures and just take a much needed break from our regular routines. I was googling the benefits of summer vacay before writing this blog and here are some things that I found. Taking summer holidays or even just slowing down and changing our routine helps relieve stress and who couldn’t use that in today’s fast paced world. Nothing like floating in a boat with a fishing rod or just relaxing on the dock with a good book to recharge the soul. Improve your mental skills! After all a well rested mind that is free of worry is often more effective and creative. Improve your physical health! A study done in the UK found that average blood pressure of those on vacation decreased by 6%! The opportunity to spend time with the family and strengthen those family ties. Most of all ENJOY LIFE!!!! Find some joy, and take the time to do the things you love to do!! So in saying that Lisa, Lorrie and I are taking the month of August off from blogs and recipes. We are taking our work load down to allow ourselves time to rest and rejuvenate for the fall. Our social media posts will begin again on Monday September 11th with our recipe. If you have any topics that you would like to see us blog about in the fall we welcome your input. So till then Happy August and Happy Holidays!! This simple classic (which can be made with any type of green) is great on its own as a side dish, or you can toss the greens with pasta, add them to an omelet or risotto, or use them in a gratin or a quiche. I don’t think I have ever posted this on our blog but I have shared it in my Happiness Workshops. I love it for many reasons but mostly because it talks about what to let go of instead of what to add on. Now, adding things in to our lives that make us happy is extremely beneficial and highly recommended but consider, for a moment, how much we would enjoy all of the amazing experiences and interactions if we eliminated some of the background mind noise and chatter. This can also seem a bit heavy for July but it can be a good time to play with some of this stuff to make room for all of the wonderful things yet to come. Thank you to Diane Denomme who sent me this blog from Purpose Fairy. It is a keeper! I love making Kale Chips all summer long. I just trim enough leaves from my garden for a pan of chips and make them for a dinner appetizer. You can enjoy them anytime as they have a chip/cracker consistency satisfying those spicy/crunchy cravings. In a pinch, I also just sprinkle on any of my favourite combo spice that is in the cupboard ( Cajun, roast pepper and garlic etc.). Bake for 10 minutes, rotate the pan, and bake for another 12-15 minutes more until the kale begins to firm up. The kale will look shrunken, but this is normal. Let cool for a few minutes. Experiment with timing a little as oven temperatures will vary. The Oreo middle – the coveted, sweet, yummy, filling sandwiched between crispy sweet delicious chocolate cookies. 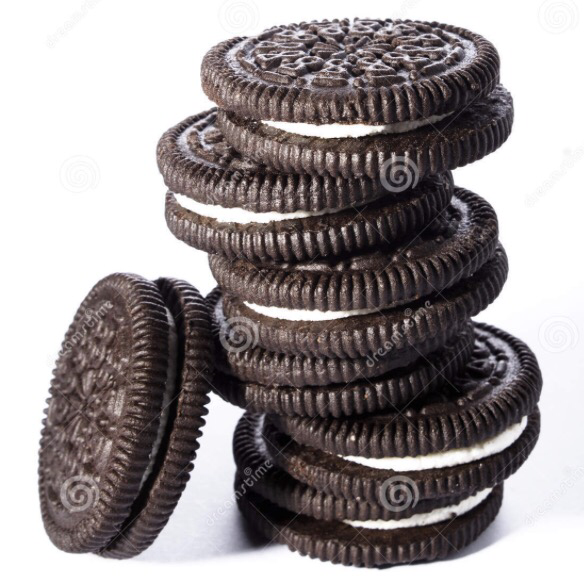 They even make “double stuff” because so many people want more of the “stuff”…. I write today to try to say that I’m not down for more “stuff”. But to clarify, what I mean by stuff – I’m talking about the stuff that goes along with being sandwiched… and not between two yummy cookies but between generations. A lot of us are in the sandwich these days, caring for parents and children simultaneously. With the baby boom generation it’s commonly part of being family. For the boomers who are sandwiched, who are often still active in their careers, the sandwich can present a complex situation of competing interests, time commitments and feelings. As a sandwiched, “career in full-swing” boomer I can attest that the feelings run the gamut and run strong. Ups, downs, all around. Of course family love is the best feeling. 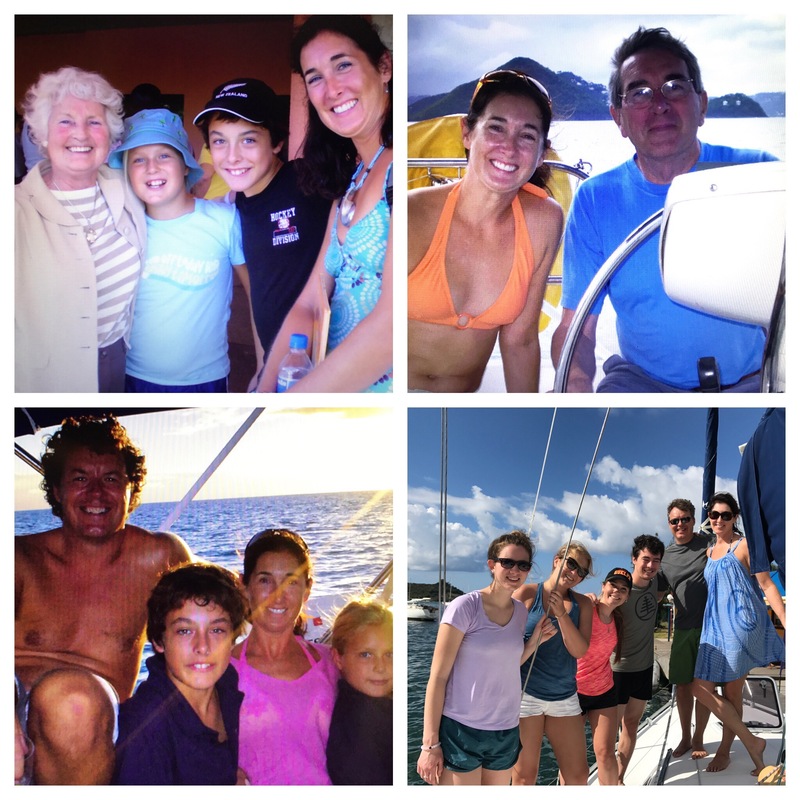 Gratitude (for being blessed with family) is another biggy, One of the least helpful, most useless and potentially prevalent feelings is the guilt and frustration that comes with feeling like you’re not keeping up with it all. If you have heard the phrase “the hurrieder I go the behinder I get”, it just about covers the perpetual feeling of stress that the sandwich can generate. And to lay it all out there, sometimes there is a struggle with resentment (for instance if one sibling is taking on the lion’s share of parent care). This is my take on a delicious cold appetizer that I enjoyed recently at The Dish in Kirkland Lake. If you haven’t tried this cute little restaurant I highly recommend it for some delish food in a relaxed atmosphere. The appetizer was 4 largish shrimp garnished with mango with about 1tbsp of aioli. At home, as an appetizer for a crowd, I spread the aïoli on a platter and put the whole package of shrimp on top, tails up where possible and garnished with mango. 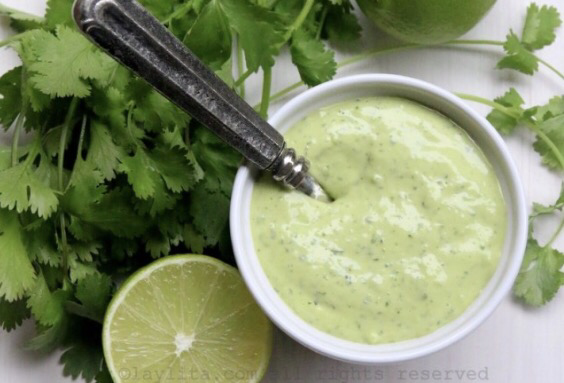 It is delicious, colourful and refreshing in the summer with the bright flavours of lime, scallions and cilantro plus the sweetness of roasted garlic. The cilantro can be substituted with parsley if you don’t like that flavour. If weight-loss is your goal keep your aioli portion under 2 teaspoons. This recipe makes extra aioli which can be watered down as a salad dressing or used to flavour a sandwich or marinate chicken or fish. Rinse garlic and pat dry. Cut off the top of bulb so each clove is exposed slightly. Put in a covered ovenproof dish and roast for about an hour, until soft. Set aside and cool. (The extra roast garlic can be used as a spread for sandwiches or in your dressings and marinades). Roasting garlic takes away most of the intense flavour we associate with garlic and leaves a creamy, sweet and pungent flavour that is quite different. Adjust herbs, lime and pepper to taste. Keep texture of sauce thick, so if extra lime flavour is desired add zest and be cautious with juice. 1 bag of large cooked frozen shrimp (with tails on), about 30-40 per bag, thawed and drained. Spread a thick layer of aioli on a platter and top with shrimp. Sprinkle with mango and trim the plate with extra lime wedges. Add everything to a small mason jar, put on the lid, and shake until well combined. Makes enough dressing for about 3 salads in a jar. In a pint mason jar add the dressing, quinoa, chopped “extras” and then greens (in that order). Pack the jars pretty tight. Add a lid and store in the fridge. When you are ready to eat dump the jar into a bowl and stir to combine or shake the jar very well and eat from the jar. The dressing makes 6 jars! You can vary the veggies and how much of each you like in your jar. The nutritional info changes as you adjust veggies so it runs anywhere from 300-400kcal.